"No media (T.V. Radio, etc.) Black Press Only!" 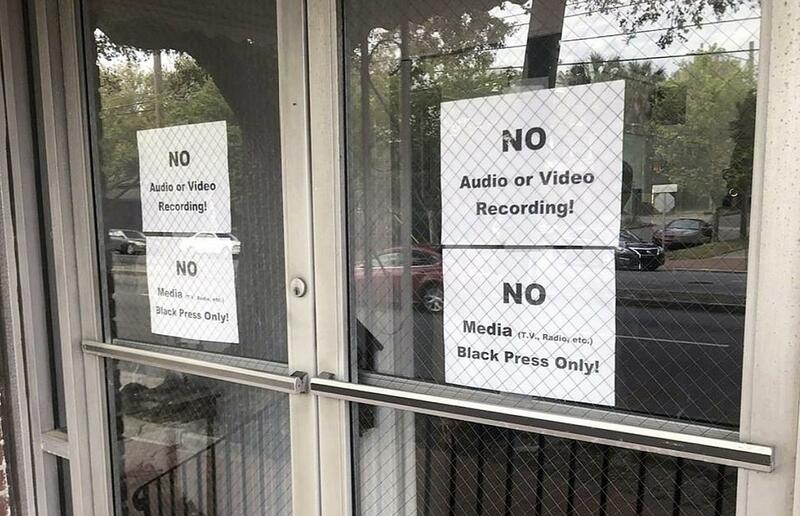 read a sign posted on the door of Bolton Street Baptist Church, the Savannah Morning News reported. Elections for Savannah's top office are nonpartisan, meaning all candidates who qualify end up on the November ballot. ...relayed "my vision for an inclusive Savannah, a progressive Savannah." "It's not my meeting. Again, I was asked to come give a statement, and so I came and I gave a statement." Regina Thomas, a former Georgia state senator and one of the incumbent mayor's black challengers, skipped the church gathering Wednesday. She said the meeting appeared divisive and was scheduled too early in the campaign. The question is - is it racist? And what would happen if Trump hung a sign at The White House "white press only"? Yeah, we know, that's totally different! !